Whether you’re writing an essay for an assignment or you’re publishing the latest scientific research, there will always be a minimum you have to write. We’re sure that there are topics that you’ll be able to write about endlessly with ease, but often, there will be a limit to the amount of ideas and sentences you can note down. Have you ever sat down with dread and marveled at the thought “I’m never going to finish this essay”? What do you do when you’ve squeezed out every drop of creativity and every last word from your mind? How are you going to make sure your piece of writing is complete? Falling short of your goal is not an option. You’re obviously not going to fill up remaining space with irrelevant nonsense – you’ve got to maintain your integrity as a writer. If you think you’ll never be able to finish it, then think again. Fortunately, help is at hand with many tools and ideas that you can use to finish your essay and put the word count at a respectable length without compromising any of its content. Planning is your friend, in fact, your best friend. If you think an essay can be written on the fly without any planning, then you’re going to find it hard to make it a good piece of text. Moreover, you’re going to find it hard to make it a LENGTHY piece of text. A good plan is the key to a decent essay. Before you even start writing, you’ll need to set yourself up for maximum success. The more research you have on your topic, the easier you’ll find it to make points and express ideas. You’re unlikely to suffer from writer's block if you’re not short of ideas, so from the get-go, have everything you want to write about planned out meticulously, and then once you’ve finished, add more ideas to your plan. As you plan for the essay ahead, you’ll notice your creative thought processes moving. Planning not only allows to organize ideas so that you’re not short of anything to write, but the process will get your mind working so that you can think of other ideas to elaborate on! So after you’ve got a good idea of what you’d like to write, consider broadening the horizons of your essay. You won’t have to include these things per se, but why not gather more and more ideas just in case. If you’re writing a critical essay, you could include a wider range of perspectives from other people. If you’re talking about pollution problems, examine a larger population or even a larger geographic region. Let’s say you’re writing about societal change over time, here, you could consider lengthening the time span. You’ll be surprised by how much more you can think of just by changing scale and time. So, you’ve gathered a lengthy set of ideas and your plan is watertight – what about if you still can’t make the word count? Fortunately, the help is at hand. Have a skim over what you’ve written and look for an instance where you’ve discussed a particular example. Is it possible to add another one? In the majority of cases, you should be able to give further examples or relate an idea to something additional. This won’t necessarily read badly either. Providing extra points could provide added value for the reader and will allow you to further demonstrate an understanding of your topic. In a similar way, you could seek out statements in your essay that lack examples and then add some. This will add to your statements and your word count. 1. Egypt’s slaves were horrifically mistreated. Now let’s try and clarify that. 2. Egypt’s slaves were horrifically mistreated, in other words, slaves were being made to work all day every day. Use phrases such as “in other words...”, “especially because...” and “particularly because...” to provide further clarity to your statements and further words to your essay. However, don’t go overboard and clarify everything because this will make your writing disjointed and messy. Phrases such as these are best used sporadically to increase reader comprehension. If you’re writing an essay where you’ve given your opinions and views, can you think of any other important people who had different views and ideas? It might be a good idea to include some alternative viewpoints to your own. These different viewpoints will add variety to the piece and you’ll have even more opportunities to discuss these viewpoints in concluding statements. Analysing various views in an essay will give you more to write about whilst also demonstrating that you have good understanding and evaluative skills. Take the time to compare and contrast different views and explain your reasons behind doing so. While you’re reading about other people’s opinions, you can add direct quotes about what they’ve said to back up points and give examples. If you back up an argument based on what someone has said, put a direct quote of what was said in your work. The addition of quotations can provide clarity and additional words. In order to improve on your word count and essay quality, looking around for other sources is a great way to support statements that you’ve made. You can even write about each source and go into some in-depth discussion about which source is more valid and for what reason. The more sources you have to back up ideas, the stronger your essay will be. In the same way that you can consider alternative points of view, you can consider different sources of information. Look around on Google Scholar where you can search key phrases to find sources of information related to them. If you’re writing an academic essay with citations, try to include a few more citations in your work but not too many as you could flood the text and leave it sounding broken up. A great way of doing this is to look at the reference list of a paper you’re currently reading and find some similar sources there. So your essay is nearly there, but you just can’t seem to reach the conclusion. Read over what you’ve made and see if you’ve left something out. Chances are that 9/10 times, there will be something missing, allowing you to provide additional text. Adding some tactical filler may be difficult to do in the main body of the text, but the introduction and conclusion are usually places where you can afford to put a little extra in so as to give more body to your text. The concluding remarks are the ones where discussion is key and so you’ll have more space to make this wordier than it has to be. Stating the obvious - this may get you more words but really just sounds horrible. It shows a lack of style in writing and doesn’t add any information. Repeating yourself - why would you need to repeat what you’ve already said? It doesn’t make sense. It doesn’t make sense. It doesn’t make sense. It doesn’t make sense. ...is this getting annoying now? The use of certain adjectives - “really”, “very”, “extremely” and other adjectives are often overused and are dull. Overuse of adjectives - over the top verbal gibberish is not pleasant to read. It’s easy to tell when someone is using too many adjectives in a sentence to make things seem longer than they need to be. Using very complex words and sentences - punctuation and grammar are there to serve a purpose, to make things easy to understand. Using complex words and sentences will leave your readers feeling frustrated and confused. Sure, the first statement had more words, but is that really the style you aspire to write in? Never let the quality of your writing slip unnecessarily! If you’re concerned about the page count of your essay rather than the word count, there are a few tricks and tips that you could use to give your essay the appearance of length and grandeur. The problem with this is that it could be obvious, so use your best judgement in all cases and think how you’d feel as the teacher or reader. Separate paragraphs by adding a line space in between instead of a small indent at the start of the paragraph. You could also widen this indent if you’d like to – you’ll be able to see quite an obvious difference. So if you’re looking to increase your essay both in length and visual size, you’re now complete with the tools you need to write as many words as you want in an interesting way. This article isn’t going to make you read on and on, because what’s said has hopefully been said, and in a way that wasn’t relentless. Keep your essays high quality and have fun in the writing process. Writing essays is a struggle for many students, and it doesn’t matter what level you are as you will often encounter aproblem while writing. There are many issues that students face when writing, such as writer's block, spelling mistakes, punctuation errors but one of the biggest problems and most annoying one has to be falling short of words to write. You may start off an essay with much zeal and excitement but this is short lived when you realize that you didn’t reach the expected number of words for the essay. Here, we teach you how to make an essay longer. Normally, when given an essay assignment, you are given a number of paragraphs or words that you should attain and this is usually one difficult feat for students. This article will help you find ways of correctly making your essay longer without using any of the mischievous ways that will also be discussed. The saying goes that if you fail to plan then you plan to fail. This applies to almost everything people do and writing is no different. You need to come up with the correct strategy to write an essay, especially if you know that it is considerably longer than you would normally handle. You want to do this without using fluff and silly tactics that will get you caught. Research. 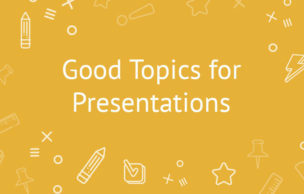 There are some topics that you already have some information about, on account of them being in a topic that you have tackled before or it is an area of interest. In such cases, you may be tempted not to research further, which will expose you to falling short of words. So whether you have information about your topic or not, research widely on it to get more information which will lead to more words to write. Outline your work. This is the easiest way of knowing whether you have enough content to write about. You should clearly outline your ideas from the start to finish as this will help you to better organize your essay and identify any areas that you need to work on. In case you didn’t know, outlining also helps you write faster which gives you more time to evaluate your work and find out what is missing. Think outside the box (topic). Please note that this does not mean you should deviate from your topic. Sometimes thinking outside the box will give you more ideas of how to handle the topic. This works well if your topic just doesn’t have enough points. Studying more people that are not necessary covered by the topic. Increasing the time frame you are studying. However, this only works properly if you factor in your deadline, so always start preparing and writing early so as to avoid getting caught up with time. Truth be told, there are a lot of ways to make your essay look longer without necessarily adding more content that makes it actually longer. These are everywhere on the internet. What they do not tell you is that if you are required to write a specified number of words and you do not reach it then these ways will not help much. This is because one can easily see the number of words when they open the document, or manually count them, in the case of a hardcopy essay. Using a font that appears larger than the usual ones. More spacing after paragraphs or punctuation marks. You may think that these changes are not obvious but what you may not be taking into account is that your instructor will not only be handing your essay alone. 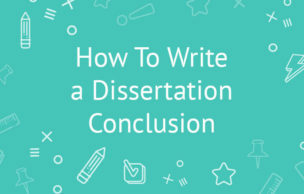 There will be quite a number and if they were to look at a normally formatted essay them have a look at yours that has been edited to appear longer, it will be very obvious and they may end up not even grading your paper. This gets even worse when you are submitting your paper in soft copy since the instructor can easily format your paper to his or her default settings which will expose your work. So basically there is no way that you will be able to get away with this even if your instructor is not keen since most of these edits are usually very obvious to the eye. So you now know what not to do, you need to learn and understand how to make an essay longer in the correct way. Crazy formatting your essay is not the only way to incorrectly make your essay longer. There are more ways such as using fluff words and purple pros. Fluff is by far the way most people make their essays longer. It is not easy to notice, especially if you are not used to it making it the ultimate answer. However, your tutors have plenty of experience in this so you might not get away with it. Remember that less is always more and you don't need to add useless content. A simple definition of fluff is using more words than is necessary when stating something. This is usually done by adding more words such as: like, very, so and very among others. Using complex sentences and words that you later on define. Purple prose is another form of fluff that is even more difficult to notice. A lot of people confuse purple prose with vivid descriptions hence most do not know when they are making this mistake. In simple terms purple pros can be defined as using heavy and over the top words to explain something that can be stated easily in few words. Most people use excessive adjectives and adverbs to do this which ultimately makes your essay longer. When writing it is important to go back and read your work and ask yourself if there is a simpler way of saying a point, statement or putting across an idea then do it. This will help your tutor to easily read through your work and identify your points which will be awarded. The next discussion is aimed at helping you correctly bulk up your essays so that you are able to achieve the required number of words. You want to correctly elongate your essay without losing the reader or confusing your ideas. This can only be done by having adequate content and being smart about the way you write. Having already written down your outline and identified your weak points you can start writing using the following strategies to give you more words the correct way. Have someone else read your work. If you are a confident writer, it will be very difficult for you to see your mistakes that someone else may easily identify. So get a fresh pair of eyes to make the corrections you need to make your essay better. This can either be a colleague or one of our essay editors. Have them make suggestions of points that you may have left out in your discussion then make the necessary corrections. View your subject from a different perspective. When you are given a topic to write about, there is always that idea that will instantly come to mind and most of the time, it is the direction you take. However, if you want to get more ideas to discuss you should look at it from a different angle. For example in an argumentative essay, you may start thinking in the opposite stand that you took, then come up with counter points which will give you more to discuss. Think beyond the topic. There are some other topics that you can think about that may help you build more content for your essays. Explore more related topics to the one you are writing about to get inspiration on what to write about. References. Providing support for your essay is another great way of making it longer. It may depend on the type of essay you are handling such as an argumentative essay; you can reference or quote what someone says to support your argument. If you do it wisely, this can provide a very easy way of increasing your word count in the end. Remember not to overdo it since your work will then have a high number of plagiarized words. Do not limit yourself. It is better to have more than less since when you have more of it, you can always reduce it if need be. This is why you should not limit the information you include in your essay, as long as it is relevant to the topic that you’re discussing. If you end up with more points than needed you will be at liberty to choose the best making your essay longer with great content. Take some time off. Writing is a process so you may need some breaks some times. If you sit down researching and writing for a long period of time, you are bound to get tired which may lead to writers block. It is good to take some time off writing and do something else allowing your brain to reboot and get fresh ideas. Start reading your essay with a loud voice. Our minds are always chattering so all you have to do is start reading your piece again. You will see that your brain will seek alternatives and will inevitably give you ideas on how to fill certain paragraphs. Just try it, it's hard to explain this in words. You can also choose to "write my essay" in segments. Purpose to write a paragraph or two daily and by the time the essay is due, you will find that it is complete and very informational. However, this is only possible when you start early enough so do not procrastinate till it is too late. This will expose you to speedy writing without giving much thought to what you are writing about sacrificing the quality of your content. Reading widely also helps a lot in making an essay longer. It equips you with the skills needed to execute any kind of writing without breaking a sweat. Check out useful articles about writing online and these will help you build the confidence and tact that will come in handy when you are writing. It is important to have an open mind when you are writing. Do not restrict your thoughts and ideas since this will enable you to modify them to fit the discussion you are writing. You can also get professional help from our editors who will assist you in achieving fluff free content that will be within the number of words required. Remember that information is power so read in plenty and when you are done, read some more. This is it - you have learned how to make an essay longer and you should be able to start applying these techniques in no time!